It's hard to believe that less than a year ago, I still owned a Galaxy Nexus smartphone. I purchased it directly from Google. I liked the idea of purchasing an unlocked device and being able to use it with the GSM carrier of my choosing (first T-Mobile, then StraightTalk). Though it had its quirks (a bit sluggish at times, had to watch battery life like a vulture, cheap plastic casing), it was a good phone. In fact I kept that phone for a year - the longest I've ever kept any smartphone. As good a phone as it was, I always had problems with Skype. Either the video was choppy, or it would zoom way in on my face and there was no apparent way to adjust it, or the audio was bad. It was always something. I realize it could have been the hardware, the data connection, any number of things, but my experiences with Skype on that phone left me with a negative perception of it. One of the reasons I decided to get my iPhone 5 (my current smartphone as of the date of this post) was FaceTime. I did a lot of research on this and found the reviews to be overwhelmingly positive. My parents, one of my brothers, and my wife all have iPhones. It made sense for me to get one, too, and be able to have FaceTime video calls with any of them. And I have not been disappointed. FaceTime has been nothing short of fantastic. Since getting my iPhone 5 back in July, I have done a FaceTime call at least once a week with my mother, and it has been great to see her face as well as talk to her. Though we're hundreds of miles apart, it makes the distance seem a bit shorter. 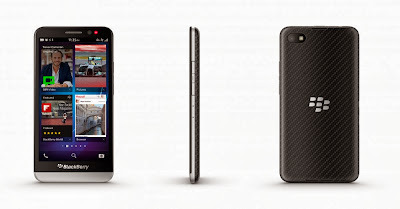 For many reasons (some of which I detailed in my previous post), I have been taking a serious look at getting a new BlackBerry (Z30 or Q10). One of the reasons I've hesitated to make the switch is that I want to continue to have quality video calls with family and friends, and I wasn't sure if there was a suitable substitute for FaceTime. On a whim, the last time I did a video call with my mother, I asked her to try a Skype call with me between our iPhones. The resulting experience surprised me. It was good. Really good. So good, in fact, that when I asked my mother how she liked Skype compared to our previous FaceTime calls, she said she thought the sound was much better, and the picture was clearer and didn't seem to freeze or lag as FaceTime seemed to do occasionally. We talked for nearly an hour and the quality was consistent throughout. I realize this is anecdotal. Fans of either service will give you a long list of good reasons why theirs is better than the alternative. There is plenty of info on the internet about both, so I won't regurgitate it here. Ultimately, what it comes down to is personal preference. 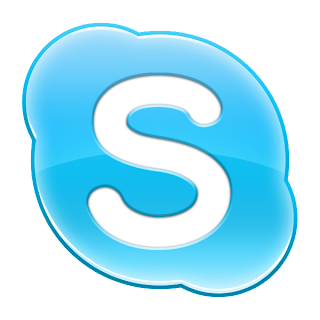 And the improved quality of Skype calls, along with the ability to use it across any of the major mobile platforms, has won me over. Skype, for me, has proven to be a more than suitable substitute for FaceTime, so that's one less reason I feel compelled to keep my iPhone.